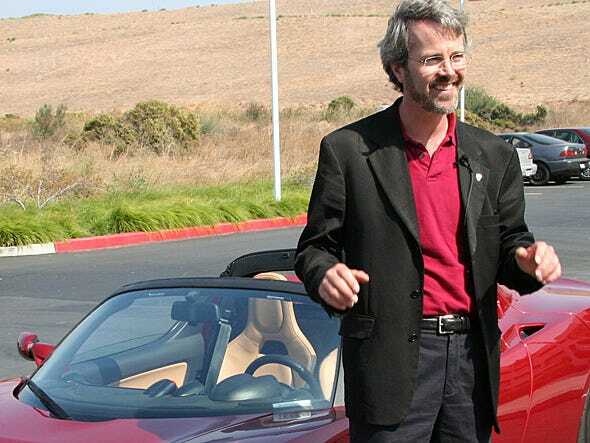 In August 2007, Martin Eberhard was in Los Angeles to give a talk at a luncheon put on by the Motor Press Guild, the trade group for publications that cover cars. At that time, he was the CEO of Tesla Motors, and he was getting to be a big deal in the auto industry. Then Eberhard got a call from Elon Musk, Tesla’s chairman of the board and primary investor. He had some bad news for Eberhard: Michael Marks, an early Tesla investor, would be taking over as chief executive. The Tesla board had held a meeting without him, Eberhard told Business Insider, and decided that it was time for him to step down. Eberhard had an uncle who was a lawyer, so he asked his advice. After realising that the board meeting violated the company’s bylaws, he asked that they have another meeting via conference call so he could actually leave his position. On August 8, 2007, Eberhard resigned from the CEO position and took on a new title, President of Technology. Marks became the interim CEO. Wikimedia CommonsMartin Eberhard, Tesla’s first CEO. “I never figured out what was said about me to those people,” Eberhard said. Though he was still on staff with Tesla, Eberhard was moved off of almost every responsibility, save for troubleshooting and a handful of peripheral issues. Now an employee, he was effectively shut out of the company he founded. Mike Harrigan, who served as VP of marketing for Tesla at the time, told Business Insider that it was classic Musk. “[Musk] is the kind of boss where day to day you don’t know if you have a job or not,” he said. This story is taken from “The Making Of Tesla: Invention, Betrayal, And The Birth Of The Roadster,” an original Business Insider investigative feature.